A person who wishes to become a successful structural engineer should be aware of the type of skills and the required educational qualifications or the courses needed to succeed in this profession. The job of a structural engineer is to research, design and plan the structural system of a building. It is also necessary to evaluate the economic, environmental, aesthetic and social factors when designing a structure or a building. Candidates can pursue careers in structural engineering or take up a civil engineering course that includes structural engineering in the syllabus. Aspiring job applicants or school students can follow the tips mentioned in this article to get structural engineer jobs. A solid footing in subjects like Calculus, Science, Drafting and Physics is required. Enroll in classes in these subjects, especially if you have difficulty in understanding the concept or subject. Applicants should be an expert in using common computer applications and relevant drafting software. Enroll in training programs or courses to develop the necessary computer skills. There are several online tutorials that can provide useful information on these topics and enable candidates to do self-study. 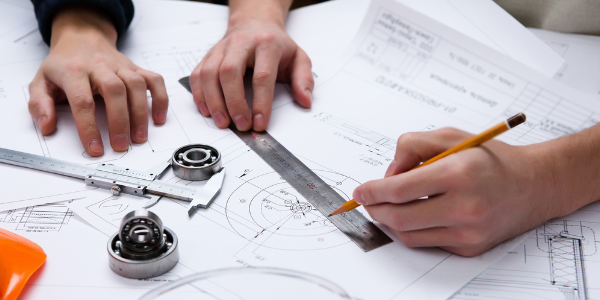 Explore suitable schools or a college that offers advanced courses in structural engineering. Research schools or colleges that offer the best civil engineering courses that include advanced studies in structural engineering. Register for relevant core courses that include material mechanics, conceptual structural design, numerical analysis, statistics, and material science to land jobs in structural engineering. Job aspirants should develop communication and teamwork skills by working on presentations and projects as part of a team. Enroll in English speaking courses to hone communication skills that will help in explaining complex ideas to clients and other workers. Seek membership in a reputable association of structural engineers. Find out details about the association and speak to some of the existing members to learn more about the advantages of being a part of the association. It is also recommended to contact the National Council of Structural Engineering Associations (NCSEA) to find a reliable, professional organization. Some colleges or schools may host a mentorship program. An established or successful structural engineer whom you wish to emulate should be contacted for support and guidance. Apply for a license to practice as a civil engineer once you have completed the course. Job aspirants can approach The American Society of Civil Engineers (ASCE) for support in obtaining this license. Participate in industry conferences on structural engineering or attend workshops on this topic. These events provide the opportunity to find out about the latest developments in this industry and find out about employment opportunities in the industry. Job aspirants or candidates who wish to pursue a career in the field of structural engineering need to be aware of the educational qualifications and course requirements to qualify and apply for a job in this field.